The rise of influencer marketing continues in 2019. It's transforming the way companies are connecting with their audience and changing the dynamics of the entire marketing landscape. In a nutshell, influencer marketing focuses on leveraging public figures and leaders in a particular market to drive a brand's messaging. Instead of marketing to your audience, you're connecting with influencers and encouraging them to promote your brand. This encouragement often comes with compensation. Brand and product influencers you identify through certain platforms. A targeted campaign that aligns with the influencers' audiences. A list of metrics to evaluate to determine campaign success. With the growth of influencer marketing on wide-reaching sites, this type of marketing continues to make a huge impact not only on budgets, but also on overall business strategies to ensure gains in traffic and revenue this year – if marketers use it correctly. One of the first things that come to mind when you think about influencers is the fastest growing social network – Instagram. But the world of influencer marketing reaches far and wide. 63 percent of business that have influencer marketing budgets intend to increase their spending over the next year. 82 percent say the quality of customers from influencer marketing campaigns is better than from other forms of marketing. Influencer marketing grew as an industry to $4.6 billion in 2018, and it's projected to climb to $6.5 billion in 2019. As noted above, companies are planning on upping their budgets specifically geared toward influencer marketing. This budget will fuel other channels for your company. In fact, 44 percent of marketers plan on using influencer content to boost performance of other digital channels. Even if the influencer doesn't drive purchases, they can increase brand awareness and deliver new followers to your social media profiles. These budgets often go toward sending products to influencers for endorsements and paying them to feature or promote the brand in posts. 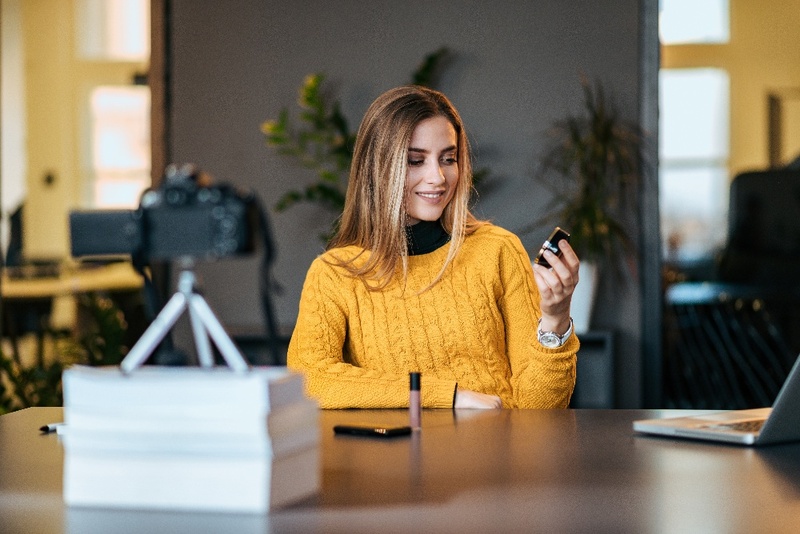 To ensure consumers understand that the posts they see influencers display on social media are sponsored, the U.S. Federal Trade Commission established guides on endorsements. Prominence – Make disclosures visible so it stands out. Presentation – Use clear language, not subtleties or vagueness. Placement – Post disclosures in areas that are easily located, not buried. Proximity – List disclosures alongside the product/service being promoted. Unfortunately, not all influencers or marketers have a full understanding of these guidelines. In fact, a whopping 56 percent of marketers said they're not familiar with FTC guidelines on paid influencer marketing posts. Just 11 percent said they were aware or understood. With more visibility of what influencer marketing is and what it entails for promotions of products and services, there will likely be an increase in awareness of FTC guidelines. For those that don't follow these guidelines, there can be significant repercussions. Back in April 2017, the FTC sent more than 90 letters to marketers and influencers – including celebrities and athletes – about the need to disclose their social media endorsements and brand relationships. While compensation plays a major role in the brand-influencer relationship, it's not the primary motivator for influencers who are playing the long game. We are living in the wake of massive PR disasters like the the failed Fyre Festival, where the festival's co-founder Billy McFarland paid influencers on Instagram huge sums of money for each post. The festival turned out to fall short of its lofty promises of private jets, high-end food and music entertainment. Consumers who felt duped by organizers blamed the influencers who promoted the festival. But this is just one example of how influencers looking to cash in for quick paydays can experience blowback from their audience. The bottom line: influencers want to build their audience and invest their time and energy in strategic partnerships they believe in and want to promote for a long time. The one-off transactions are becoming less common. It's smart for companies to collaborate with influencers who have established credibility and integrity through their content. Their audience is likely more engaged and invested in the influencer's perspective if they're authentic in their content. In an increasingly crowded social world, all those traditional ads and stock photo content is falling by the wayside. Why are these tactics less effective? Users are way more savvy. Their BS meter is better calibrated because they see more and more crappy ads every day. Audiences deserve a real, honest perspective of products or services. Influencers and brands will play a bigger focus on positioning their message in a trustworthy way. Brands shouldn't have influencers simply copy and paste messaging. It's up to influencers to be authentic storytellers who naturally weave a product or service into the narrative they're sharing. More than four in 10 influencers say alignment with core values is one of the most important factors that influence their decision to partner with a brand. 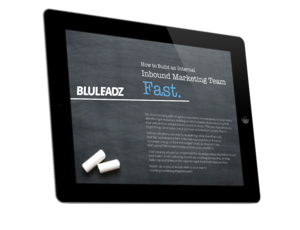 Since influencers are taking up a larger chunk of inbound marketing budgets for many marketers this year, automation is more of a necessity to keep up. With the right tools, companies can streamline and automate plenty of processes, like identifying relevant influencers to work with and shaping content that aligns with current trends. While mega-influencers are highly recognizable, they're often very costly. Plus, just because your audience knows a celebrity doesn't mean they would purchase something they recommended. The next tier down, macro-influencers, consists of people who earned a lot of credibility in their niche, but working with them is highly competitive. Micro-influencers and nano-influencers are the sweet spot for most companies. They are often the most genuine content creators who can build strong connections with their smaller, yet more enthusiastic audience. You will see more brands partnering with these kinds fo influencers to drive more results for less investment upfront. With some influencers earning thousands per post, brands should ensure their ROI is higher than the cost of tapping them to promote their businesses. Just a couple years ago, 78 percent of marketers said their top challenge was determining ROI. Fortunately, analytics tools are evolving and capturing insightful metrics, like cost per click (CPC), cost per engagement (CPE), word of mouth, sentiment, and affiliate link tracking. When you capture these KPIs, you can pinpoint the posts that result in the highest ROI. When you measure ROI, you're able to adjust your influencer marketing strategy as needed. You can find trends in successful campaigns and determine what your biggest setbacks were in your lower performing initiatives. Now that you understand the impact of influencer marketing, implement it into your social media strategy now. With the basic knowledge of influencer marketing, you'll be on your way to bringing new leads to your company!